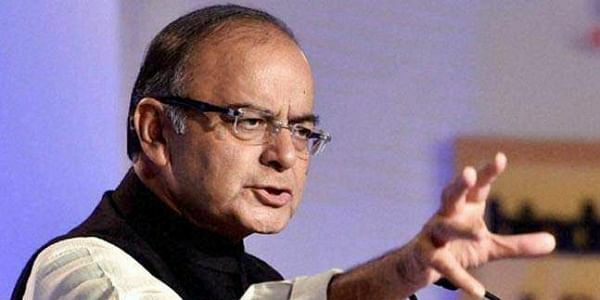 Union Finance Minister Arun Jaitley, while referring to Pakistan, said a nation that backed the growth of terrorism would not find a place in the global arena. SURAT: Commenting on the release of 26/11 Mumbai attack mastermind Hafiz Saeed, Union Finance Minister Arun Jaitley, while referring to Pakistan, said a nation that backed the growth of terrorism would not find a place in the global arena. “Hafiz Saeed was released by Pakistan just two days before the anniversary of the 26/11 Mumbai attack. In such cases, the other countries will stand in unison to oppose such a country that backs terrorism. They will find no place in the global front,” he said, while addressing a gathering, here, soon after Prime Minister Narendra Modi’s ‘Mann Ki Baat’ radio address. Further, the Bharatiya Janata Party (BJP) leader shed light on the improvement in the situation in Jammu and Kashmir, attributable to a cash squeeze that was brought about due to the rollout of the demonetisation drive on November 8 last year. “When Prime Minister Modi took over, there was civil disobedience in Kashmir. Thousands of people gathered to throw stones, terrorist activities were on the rise and the Hurriyat leadership called for Bandhs as and when they wanted. But now, after the demonetisation drive, there is no cash available to gather stone-pelters, and this cash squeeze has helped curb violence,” he said. Jaitley added, "Looking at the situation in the last eight months, it can be seen that any leader of a terrorist organisation knows that he will not be able to survive for long, owing to operations of the police and armed forces." The finance minister also spoke about developmental activities being carried out in poll-bound Gujarat, and added that the party aimed to garner global recognition for the state.